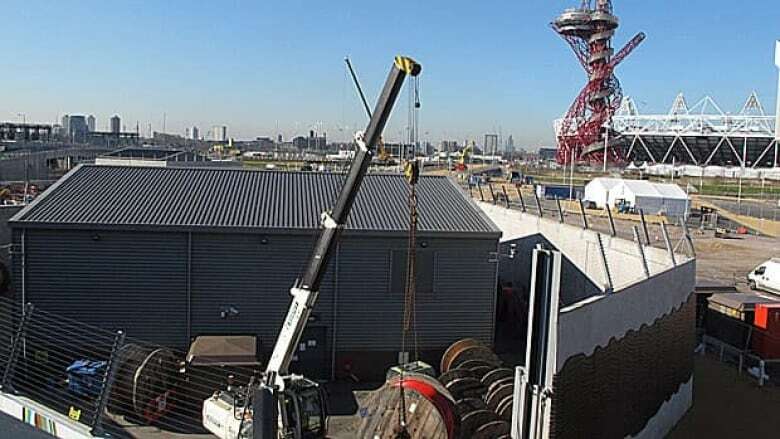 London's Olympic organizing committee had the blogosphere buzzing this week after a Twitter user reportedly spotted a worker trying to root out portable WiFi hotspots that have been banned at Olympic venues. 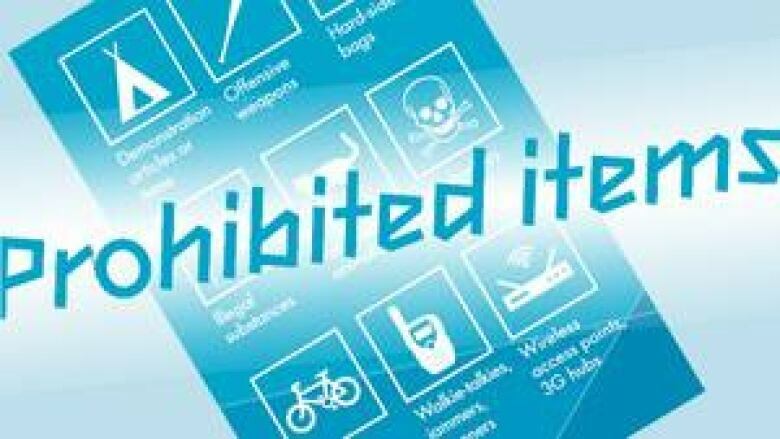 The organizing committee lists "personal/private wireless access points and 3G hubs" on its list of items prohibited at Olympic venues — alongside other hazards such as firearms, drugs and explosives. It warns spectators that while smartphones and tablets can be used inside venues, they shouldn't be used as wireless access points to connect numerous devices to the internet. 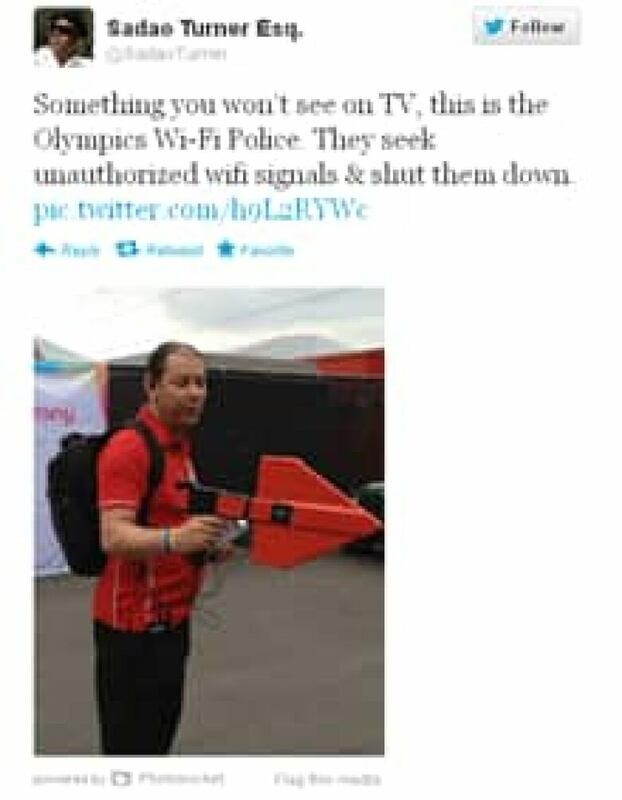 The news of the WiFi crackdown has angered many of those following the Games online, who were already upset at Olympic authorities' attempts to limit the use of social networking tools at the Games at certain times. Should hotspots be banned at Olympic venues? Take our poll. The London Olympics had been billed as the first "social media Games," but organizers have been accused of bungling the effort to seamlessly integrate popular technologies like Twitter and Facebook into the event. Officials first drew criticism after heavy tweeting and texting from the sidelines of the July 28 men's cycling race overloaded one of the wireless networks and interfered with the GPS feeds of real-time racing information that the Olympic Broadcasting Service provides to television broadcasters covering the event. When, to remedy the situation, the International Olympic Committee suggested spectators restrict their tweets to "urgent updates" only, it was widely ridiculed in the blogosphere and mainstream press. Some saw these attempts to set rules for social media use at the Games as misguided and part of the IOC's broader attempt to control the Olympic brand. Several technology websites had pointed out as early as April that the Olympic committee's rules for ticket holders in effect banned the sharing of photos and videos from Olympic events through services such as Instagram, Twitter and Facebook. The terms and conditions of ticket purchase state that images, video and sound recordings "cannot be used for any purpose other than for private and domestic purposes" and that video and sound recordings from within Olympic venues cannot be published on social networking websites and the internet. Although the policy is geared primarily at prohibiting commercial use of such content, it didn't stop some critics from taking some tongue-in-cheek jabs at what seemed like an unenforceable policy. The British digital marketing agency Fresh Egg created an infographic titled the Anti-Social Games that keenly illustrated just how unenforceable a ban on the sharing of Olympic photos on social networks would be. Should wifi hotspots be banned from Olympic venues?